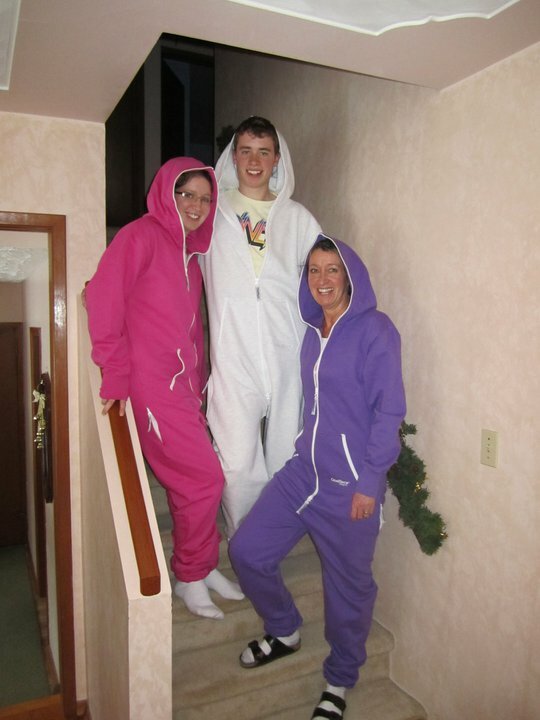 OnePiece jumpsuit special deals just got even more special! Whether you like em zipped right up, or not – the OnePiece jump in jumpsuit is becoming the biggest fashion headline for some time. 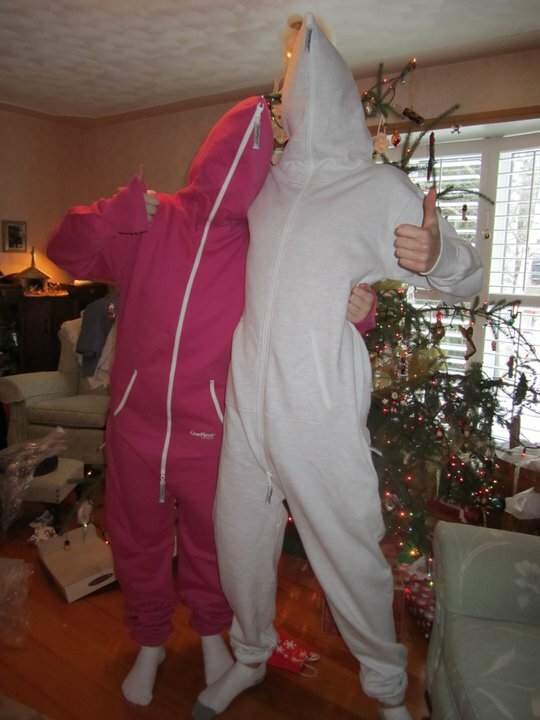 Jaclyn and Tim are showing off theirs her after getting them wrapped up under the tree at Christmas. Reports are, they are still wearing them, and can’t get enough! 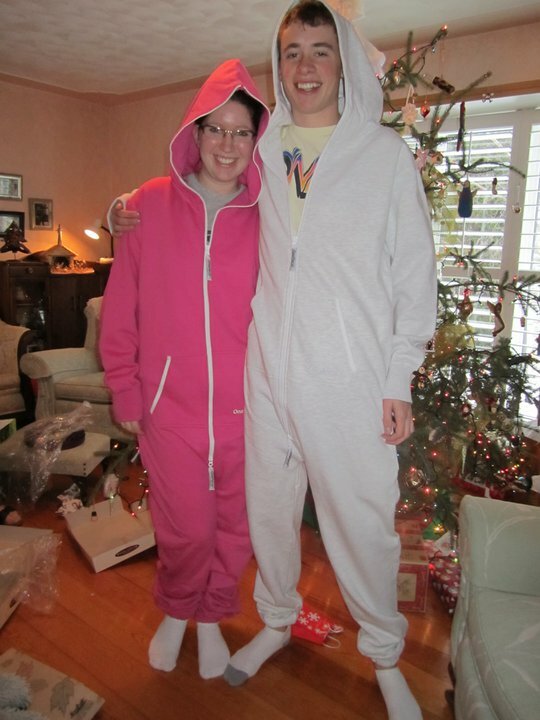 Jaclyn is wearing a plain pink OnePiece, and Tim is in a college grey OnePiece.